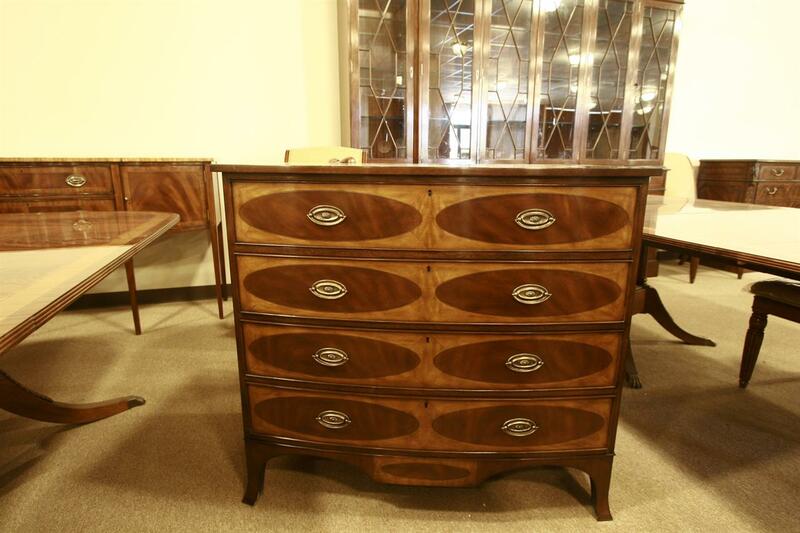 High End Mahogany and Satinwood Bedroom Chest. 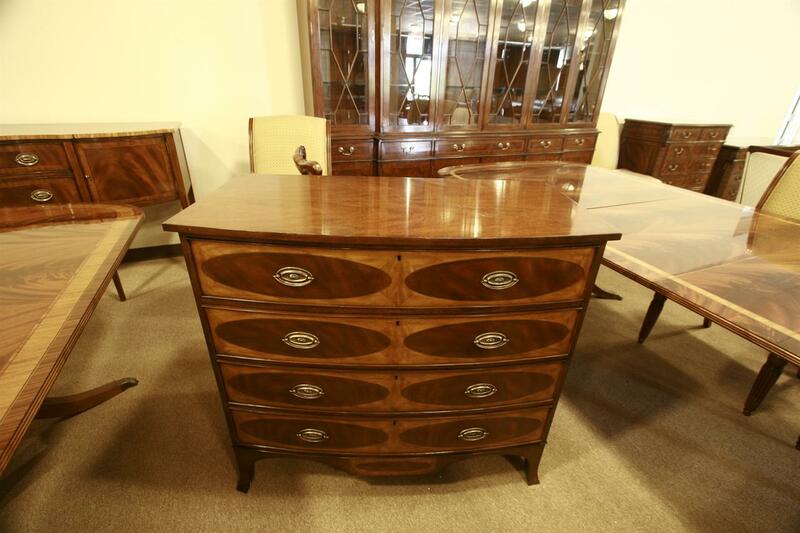 Description: This cabinet features four drawers and a bowed front. 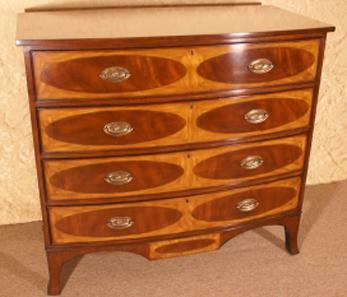 It has a cathedral mahogany top, oval fields of swirly crotch mahogany surrounded by prima vera on the drawer faces, oak lined and dovetailed drawers, solid brass hardware and working lock on top drawer. This is a high end cabinet. Dense construction makes this a heavy cabinet and will withstand more punishment than an average cabinet. 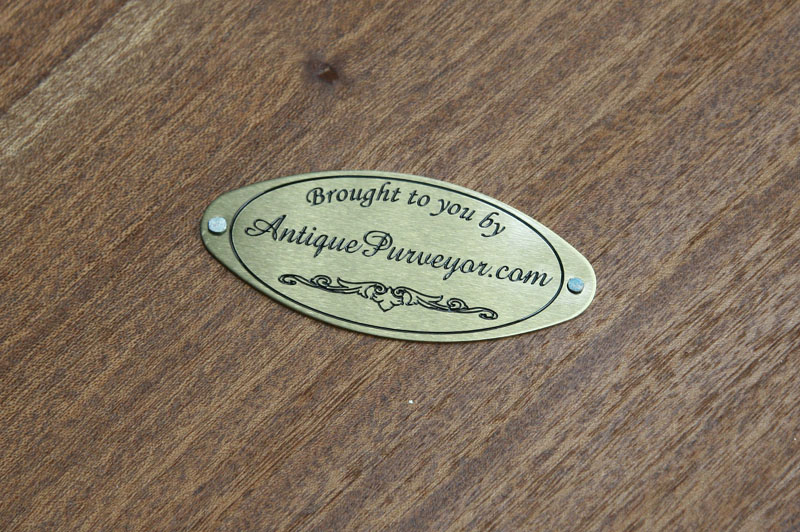 Expect the finest finish and a sturdy cabinet. Adam's style furniture like this can be very costly especially well built cabinets like this one. Buy quality discount furniture online, and get the savings you deserve. Henkle Harris quality for a fraction of the price. Measurements: Dimensions (approx. ): Height: 37 3/4 in., Width: 42 in., Depth: 21 ½ in.